Along with the newly risen awareness of healthy eating came a bunch of kitchen devices to help us prepare colourful and fun recipes. With Paleo and Keto on the rise, the top rated vegetable spiralizer transforms boring everyday fruits and vegetables into long veggie noodles or appetizing fruit desserts. The top rated vegatable spiralizers are devices that are normally able to not only produce one kind of spiral, but many different kinds due to interchangeable blades. Such as the “Brieftons 5 blade spiralizer” that not only got the highest rating, but also offers great value for the money. It offers the possibility to five different vegetable spirales and has a costumer-friendly desgin. A bit cheaper, but also delivered with five blades, is the much smaller “SimpleTaste Spiral Slicer”. This vegetable spiralizer is much more simple than a lot of kitchen appliances but very handy. Additionally: most spiralizers don’t cost more than $30 and you will use these devices for years to come and can help with many fun and healthy mommy recipes! Once you see what great recipes can be composed – you’ll be happy to invest the money! All recipes are for two adults, so adjust the amounts based on the servings you need. One of the most popular recipes out there – and so simple it’s a shame you haven’t tried it before! 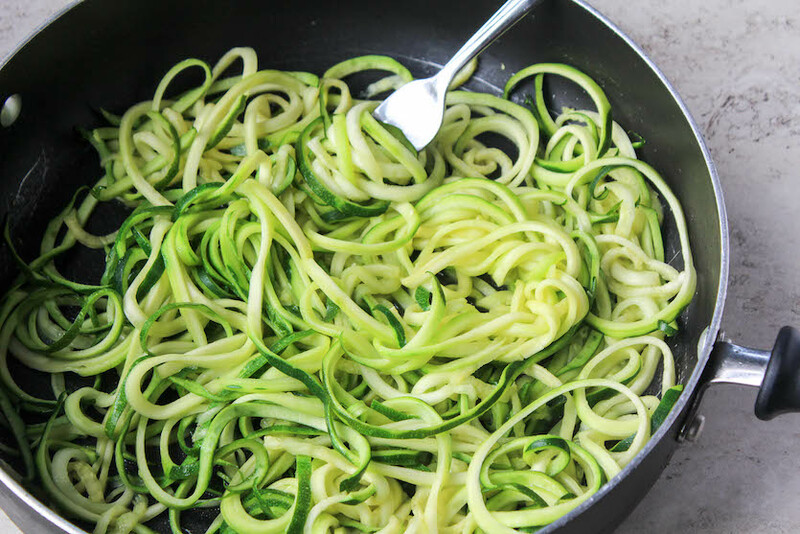 Wash and clean the zucchini of any soil, then use a small to medium blade in your spiralizer and slice zucchini into long crunchy raw noodles. You will want to stop from time to time and cut through the spiral as it might be hard to eat the dish otherwise. Once your zucchinis are done you prepare the sauce. Peel and cut the small onion and put it into a small pan together with the olive oil. Fry for a short period. Add the tomatoes, the nutritional yeast, salt and pepper as well as the basil. Cook for five minutes. Add additional water if needed. 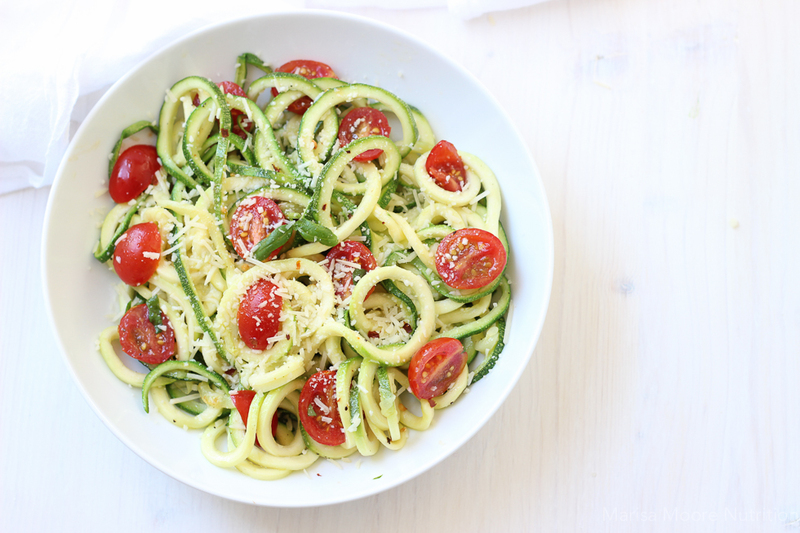 Arrange the zucchini pasta and serve with the hot pasta sauce! Peel beetroots, parsnip and carrot and use spiralizer with a small blade to cut into spirals. Peel and cut oranges and slice them into thin pieces. For the dressing use a blender and add cashews, the juice of one lemon as well as the vinegar and salt and pepper. Blend into a creamy dressing. Wash the rucola. Arrange the colourful noodles first, put the oranges second, top with rucola and finally sprincle on the dressing to your liking. Preheat oven to 300 degrees. Peel apples and use medium to large blade to spiralize the apples. Mix spiralized apples with cinnamon and maple syrup and bake for ten to fifteen minutes. Serve with a scoop of vanilla ice cream and some fresh mint leaves on top. Enjoy!